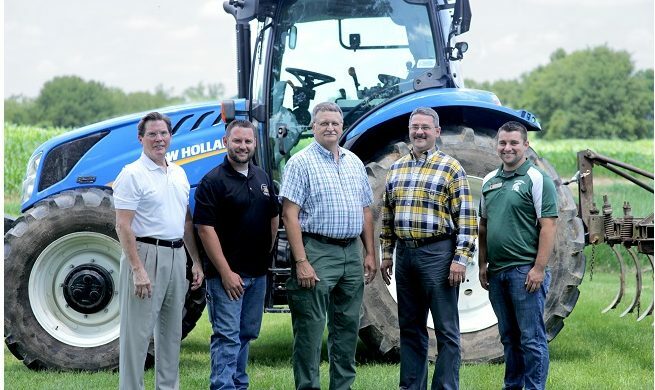 Two local insurance agents, Jeff Brazo, Ayres Insurance, and Rodney Chupp, Chupp Insurance Agency, are challenging area businesses to offer their financial support for Glen Oaks Community College agricultural programs. Chupp and Brazo created a local 4-H trust that benefits the local agricultural community by making a donation to the Glen Oaks Community College’s Agricultural program. Together, they have teamed up to challenge the community to support the program as well. Glen Oaks thanks these many contributors. If you are interested in participating in this challenge, please contact Reid Leaverton, Ag Equipment Technology Instructor, (269) 294-4344. In addition, there is still time for students to apply to the Agricultural programs for the fall semester at Glen Oaks. Students must apply by Wednesday, Aug. 22.